Caust. 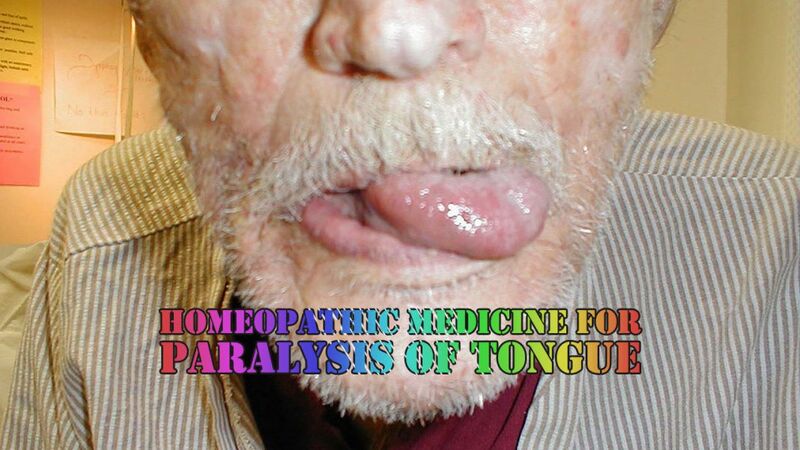 is the head remedy for paralysis of the tongue. Sensation as if tongue was adhering to palate. Distortion of the mouth and the tongue while speaking. Tongue feels so heavy that he can hardly speak. Tongue protrudes to right side. Paralysis of tongue and difficult articulation. Voice weak, low with inability to speak loud without great exertion. Plumbum Met. is also another important remedy for paralysis. Paralysis of tongue, preventing speech. Cannot put tongue out. Tongue heavy, stiff, speech indistinct. Paralysis of tongue. Tongue cold, somewhat black. Tongue weak, paralyzed, hard in old people, cannot speak. Tongue swollen and stiff, feels paralyzed. Paralysis of tongue during menses. Speech difficult from paralysis of tongue. Articulation imperfect. Tongue dry, red, cracked, stiff and immovable, protruded with difficulty. Paralysis of the tongue, loss of speech. Tongue adheres to root of mouth. Difficult speech, from heaviness of tongue. Tongue swollen and paralyzed, trembles when put out. Imperfect speaking and stammering with distortion of face. Speech difficult or hasty. Pains at the base when protruded.